showersdepot has no other items for sale. look nice and work great. I really like how it feels with its many water holes. I also like how one can change the water pattern with the hand held unit. This was a really good purchase. Showers are great with this head! My job is tough work so sore back is the normal. 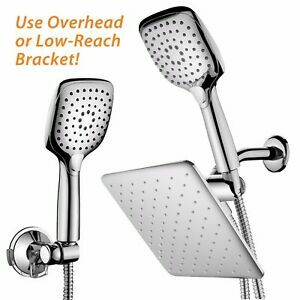 But this shower head since its wider can it my whole back. The hot water stream goes straight the sore muscles. I have not even tried the other settings its so great. But trust me soon I will definitely!